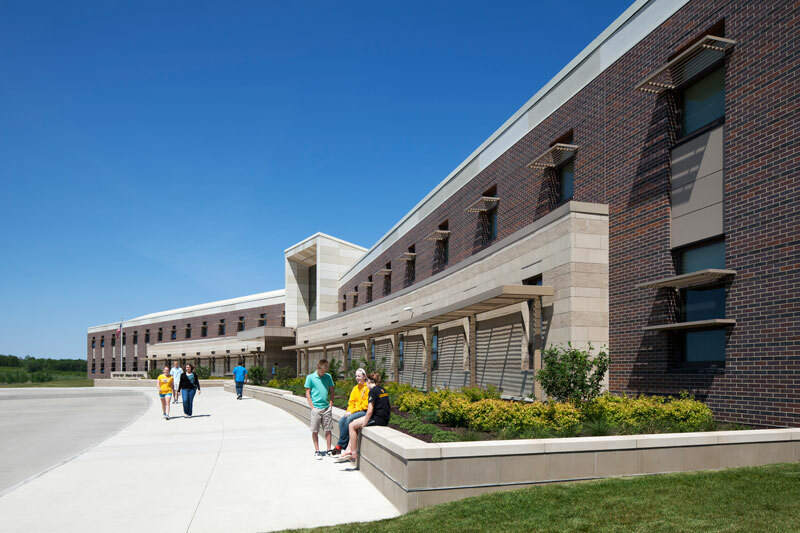 Center Point-Urbana School District required a new high school to address increased enrollment. 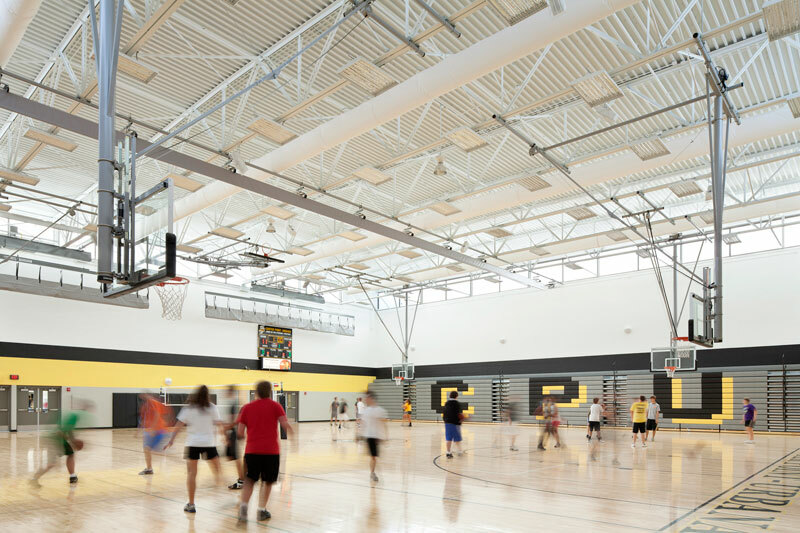 The high school needed cutting edge technology and reduced annual energy costs. Achieving these needs allowed the school district to reallocate money that could improve student education. MODUS evaluated several different systems; a geothermal system, combined with heat pumps and chilled beams, was selected. 100 wells were drilled, consisting of 60,000 linear feet of piping. The piping utilizes the stable ground temperature as a “rechargeable battery” for heating and cooling purposes. The ground water was then pumped to chilled beams serving many classrooms, as well as heat pumps serving other student-related spaces. 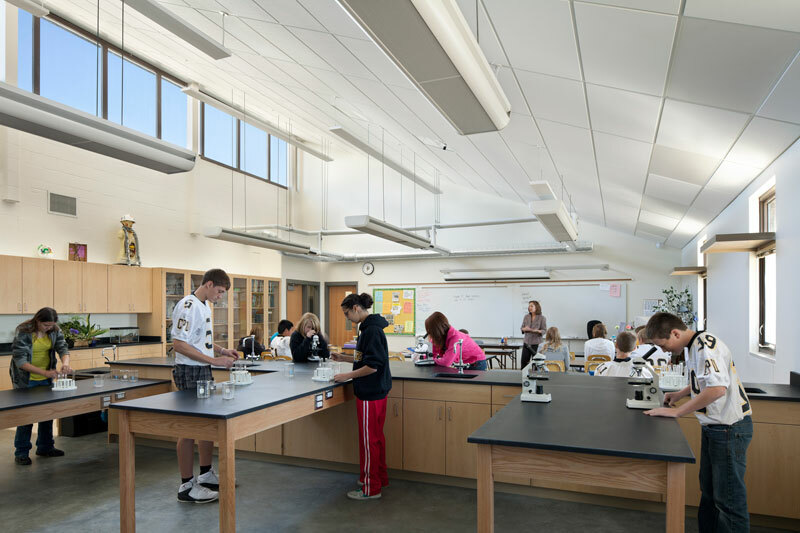 Additionally, to provide the students with an abundance of fresh, outdoor air, Energy Recovery Ventilators (ERV) were employed. A significant amount of energy is spent conditioning outdoor air for use indoors due to extreme Iowa weather. ERVs are designed to recover energy exhausted from the building, and transfer it to incoming airstream use, while limiting any cross contamination. 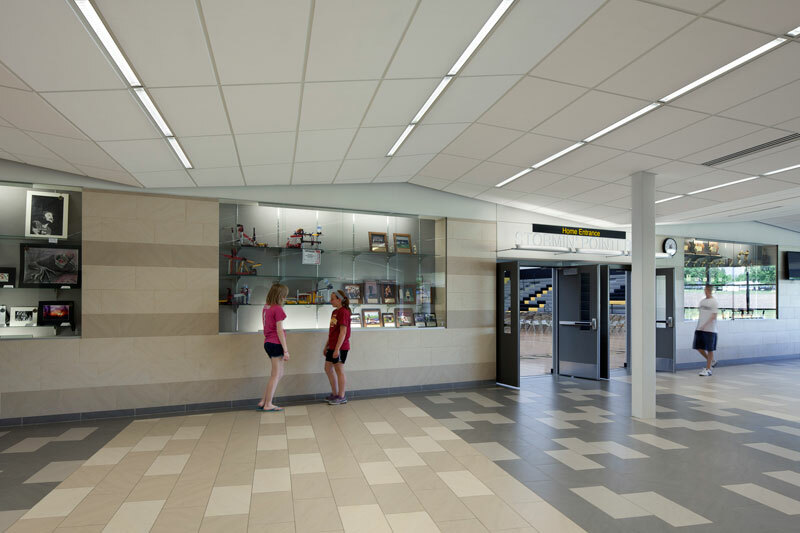 High efficient fluorescent indoor lighting fixtures were used throughout the majority of the building to meet the budget and minimize maintenance. Lastly, a full service kitchen was needed to prepare meals for the students in the high school and other schools throughout the district. Various commercial ovens, dishwashers, etc. were included in the design, requiring sufficient exhaust and make-up air. Overall, nearly 30% savings was achieved over a typical school, while helping to provide an enhanced learning environment for the students.